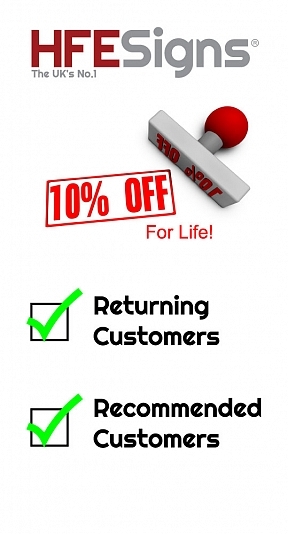 To show our appreciation of your valued continued custom we offer all returning customers 10% discount across our wide range of products, and in addition to this – we are also happy to pass on your 10% discount to anyone you recommend... the recommendations are limitless, anyone and everyone you introduce will get 10% off for life! If you order online, our system will automatically recognise you and automatically give you a 10% discount on all orders after your first. If you have ordered by telephone or by Guest Checkout previously and wish to order online, call us on 01283 576017 and we will issue you with a one time use 10% promo code, the system will then recognise you for future orders and discount automatically. Telephone Ordering Previous Customers – tell us TWO of the following. b- Name of person or company on the previous invoice. c- Delivery or Invoice postcode. New Recommended Customers – call us on 01283 576017 and tell us BOTH of the following. a- Name of the person who introduced you to HFE Signs Ltd.
b- HFE Invoice number from the persons previous order with HFE. If correct we will issue you with a one time use 10% promo code, the system will then recognise you for future orders and discount automatically. If you wish to introduce a friend you MUST give them your full name and also a HFE valid invoice number that matches our records, and we’ll be delighted to welcome them as a new customer. Why are we doing this? Marketing costs and sales promotion are getting more and more expensive for all businesses. Although we accept this cost as a business overhead, we would rather give you and your friends that money back in the form of a discount to show our appreciation of your loyalty and recommendations. It's simply us giving you the marketing money for coming back! Due to the large discount already applied to special offer products these will not qualify for an additional 10% discount.